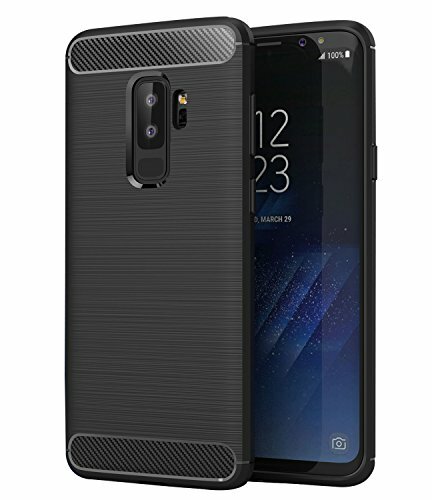 -【GALAXY S9 PLUS】Classy protective back case for Samsung Galaxy S9 Plus/S9+ 6.2", not compatible with Glaxy S9 phone. -【SPECIAL FEATURE】1.Designed to Optimize Wireless Charging Capability.2. Raised edges for added screen and camera protection.3. Air Cushion Technology for shock absorption. -【HIGH QUALITY】High quality PU and flexible TPU combination provides dual protection against scratches, bumps and drops. -【WHAT YOU GET】 1 x Galaxy S9 Plus case Black; Also you will receive 3 months warranty, just feel free to contact us via email first if you have any product problem.